It's a drizzly winter morning, and dozens of volunteers at the San Francisco–Marin Food Bank are slowly breaking down a 2,000-pound sack of whole oats into 1-pound bags, their hair tucked back in neat plastic caps. A decade ago, volunteers were more likely to be boxing up canned foods items. Today, 60 percent of everything ferried out of this warehouse is fresh produce. No soda or chips are in sight, and whole grains like these General Mills oats are standard. For food banks nationwide to move in a similar healthy direction, coordinated efforts must increase at all levels. It will take leadership like that provided by Feeding America, the national food bank network organization; expanded support for nutrition policies at the local and regional levels; and donor efforts to supply more healthful foods. It's a tall order. But with the growing ranks of the food-insecure and obese, there is more pressure — and desire — than ever to provide low-income families with healthful food and create support for food bank nutrition policies to ensure that happens, says Patricia Crawford, UC Cooperative Extension specialist and director of UC Berkeley's Atkins Center for Weight and Health (CWH), a partnership between the College of Natural Resources and the School of Public Health. There has been progress, which CWH researchers and their colleagues, at the request of the Institute of Medicine (IOM), the health arm of the National Academy of Sciences, have documented in ‘A Movement Toward Nutrition-Focused Food Banking,' an upcoming discussion paper to be released in summer 2014. The report details the evolution of food banking as the number of people served by these organizations jumped a whopping 46 percent from 2006 to 2010, according to Feeding America. 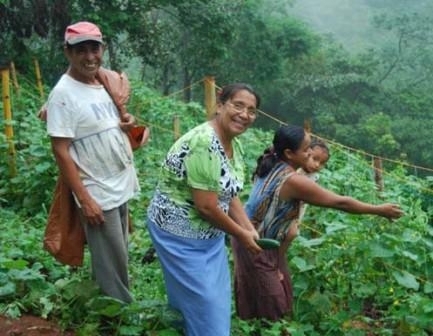 Today, 12 percent of the population uses the emergency food system. Driven by increased demand, food banks have shifted from an emergency lifeline to a service filling a chronic need. While organizations move to provide more healthful food, it's clear that pantry users, or clients, want these foods. A 2011 CWH study asked clients to rank calorie-dense snack-type foods and beverages as well as healthy options by order of preference. Getting healthier food into clients' hands requires changes in both policy and practice, but what exactly is a nutrition-driven food policy? Many stakeholders are trying to effect change — food banks and the umbrella groups that support them, organizations and corporations that donate, and state and federal governments — but there are few cohesive policies and common standards to govern how they work together. To start with, food banks can benefit from formal written guidelines that address the nutritional quality of the foods and beverages that they purchase or acquire from donations, according to the recommendations in the IOM report, whose authors include CWH's Elizabeth Campbell and Michelle Ross, Heather Hudson of the Food Bank of Central New York, and Ken Hecht, formerly with California Food Policy Advocates. A policy should guide the nutritional quality of the food bank's inventory as well as provide data analysis to track how successful the food bank is at distributing foods like produce and limiting unhealthful ones such as processed crackers and chips. Some 56 out of 200 food banks have a policy in place, according to a recent Feeding America survey, but more must be done. Alameda County Community Food Bank (ACCFB) is a policy model, Crawford says. It established a written policy in June 2013, with the help of the nonprofit anti-hunger group MAZON and CWH. The project, which included several other food banks, was funded by Kaiser Permanente. The food bank's policy is now clear. 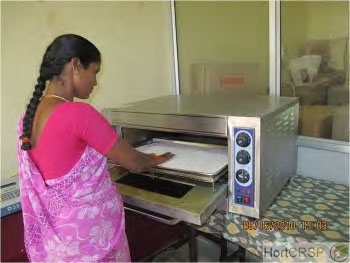 They purchase fresh fruits and vegetables, low-sugar canned fruits, low-salt canned vegetables, low-fat milk, lean proteins, nut butters, beans, whole grains, packaged meals and soup. 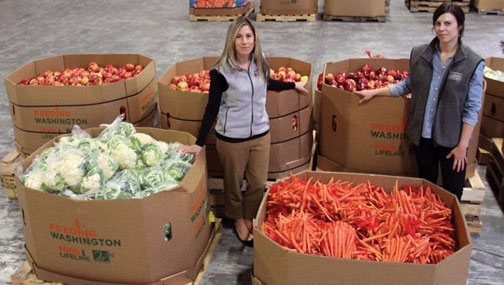 “Green” foods are now more readily available at food banks across California because of the California Association of Food Banks' (CAFB) Farm to Family program, which connects state growers and packers to food banks. 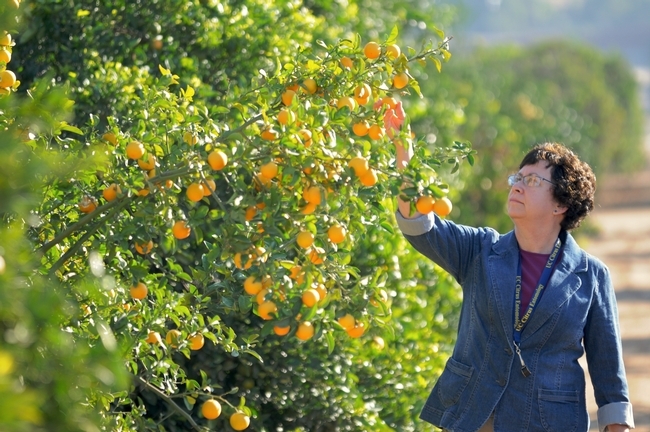 In 2011, CAFB, a nonprofit, membership-based umbrella group, sponsored AB152, now a state law, which enables farmers to get a 10 percent tax break on the inventory costs of fruits and vegetables they donate. Other positive steps: Feeding America appointed a director of nutrition in 2011, and in 2012, it implemented Foods to Encourage, nutrition guidelines for promoting health—the food bank network's first-time effort at national guidelines. It's also running a pilot program that connects food-insecure clients who have Type 2 diabetes with nutrition, health education, and medical care. Even with successes like these, there's still a long way to go. Six California food banks participated in a 2010–11 CWH study on inventory trends, funded by the Robert Woods Johnson Foundation. All six had significantly increased the amount of produce they provide to pantries, the study found, but hardy onions and potatoes made up about half of those gains. While the increase in fresh produce was dramatic, getting a variety of vitamins and minerals from different types of produce is key to good nutrition, Webb says. “Food banks now must tackle the next challenge: adding more colorful yet hardy vegetables, such as bell peppers and broccoli," Webb said. Part of that challenge is providing better distribution systems to pantries. Many food banks boast state-of-the-art facilities with refrigerated trucks and big walk-in refrigerators, but the pantries they serve are often basement kitchens and church halls with little access to refrigeration or storage. Policy changes must consider how to improve these conditions. For example, ACCFB provides farmers-market style distribution in parking lots to some clients, and both ACCFB and the state of New York help provide pantries with equipment grants to improve facilities. Sourcing is another hurdle. Although emergency food clients strongly prefer low-fat dairy, lean proteins, and whole grains over soda and other less nutritious foods, it can be difficult for food banks to procure donations that align with these preferences and with nutritional quality guidelines. In 2013, 66 percent of donated foods came from big companies and represented the largest source for food banks, according to Feeding America. Donations of sugary beverages and snack foods have declined substantially, but have not disappeared from the shelves of the six California food banks in the CWH study. In 2010, one California food bank alone distributed over a million pounds—208 million calories—of what Crawford calls “liquid sugar” drinks. “That's a heck of a lot of excess calories going out to the most vulnerable people, who have a greater likelihood to be diabetic and overweight than higher-income folks,” Webb says. Crawford notes that both the Central New York and Alameda County food banks have successfully implemented nutrition policies without offending donors or losing support. 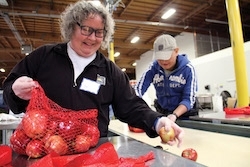 In February 2012, anti-hunger leaders convened in Oakland, Calif., to discuss their findings from the 2010–11 Robert Wood Johnson Foundation study. 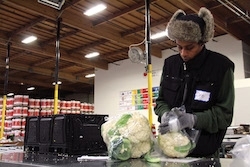 There, CWH and California Food Policy Advocates called for food bank procurement policies that meet or exceed the Foods to Encourage guidelines, which were due to be released later that year. In the most recent nudge forward, the IOM report recommends that items available through U.S. Department of Agriculture food distribution programs align with key recommendations from the 2010 Dietary Guidelines for Americans. Most food that the USDA supplies to food banks is already healthy, a recent study showed, and the agency is moving quickly to further improve nutritional quality by adding items like whole-grain pastas and brown rice. The report also recommends that food banks and advocates work with donors to find new ways to incentivize nutritious donations. The IOM report represents a formidable increase in visibility for the issue of food bank nutrition, and Crawford wants to take advantage of the momentum. She's calling for a meeting of key stakeholders to discuss how to keep improvements to the emergency food system's nutritional quality moving forward. Obesity and diabetes risk continue to plague the nation's health, and food banks will face big challenges in the coming year, including an expected rise in the number of clients as a result of the recent $8.6 billion in cuts to the Supplemental Nutrition Assistance Program — or SNAP, formerly known as food stamps — part of the farm bill passed in February, and as a consequence of California's drought, which is expected to bump up food prices. This article originally appeared in the spring 2014 issue of Breakthroughs, the magazine of the UC Berkeley College of Natural Resources. UC CalFresh instructor explains how to determine the least expensive options for the items on their grocery list. As we pushed ourselves away from the Thanksgiving table last week, my family, friends and I gave a collective groan from overeating. We are fortunate to have plenty to eat. In 2009, an estimated 3.8 million California adults went hungry because they could not afford to put sufficient food on the table, according to a policy brief by the UCLA Center for Health Policy Research. That’s up from 2.5 million Californians who went hungry in 2001. To supplement their food supply, Californians can turn to the CalFresh program, which was formerly known as food stamps. The federal program is called the Supplemental Nutrition Assistance Program, or SNAP. 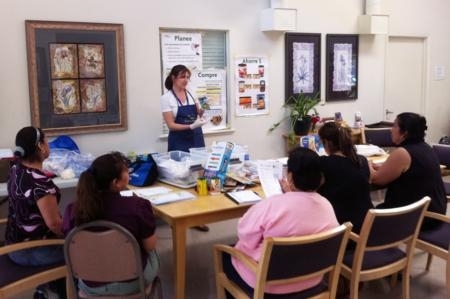 To help CalFresh participants stretch their food dollars and maintain a nutritious diet, the University of California’s CalFresh Nutrition Education Program offers a series of four workshops called "Plan, Shop, Save and Cook." In a follow-up survey, UC Cooperative Extension advisors Dorothy Smith and Marcel Horowitz found that one-third of the 1,373 people who participated in the workshops said they weren’t running out of food by the end of the month as often. In the first workshop, people learn the benefits of preparing a balanced meal plan. To do this, they discuss building meals around store specials, foods on-hand and leftovers, while including family favorites. During the second workshop, participants read the nutrition labels on foods and learn how to make the best nutritional choices while shopping. In the third workshop, UC CalFresh instructors show the participants how to determine the least expensive options for the items on their grocery list. For example, if buying beef, chuck roast is cheaper and contains less fat than sirloin. Unit pricing, bulk purchases, generic brands, convenience items, alternative protein sources and preventing spoilage and waste are things to consider when choosing food products. During the final workshop, the participants prepare and taste dishes made with low-cost nutritious foods. They put their new knowledge into practice by creating a one-week meal plan. In San Luis Obispo and Santa Barbara counties, UC CalFresh have teamed up with local food banks to encourage families to eat more fruits and vegetables. Using fresh produce from the food banks, UC CalFresh nutrition representatives prepared fruits and vegetables in healthful dishes, which were tasted by participating families. 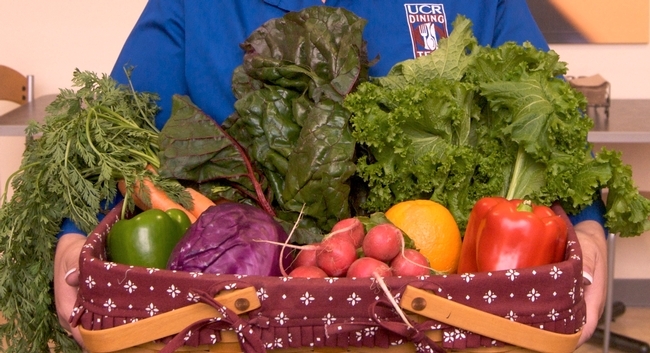 UC CalFresh is showing Californians that nutritious and tasty meals don’t have to cost a lot. 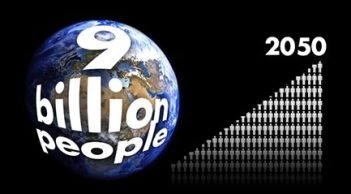 The world population is more than seven billion, and by 2050 that number is set to rise to nine billion — an increase of 50 percent since 2000. Can we possibly feed so many people? 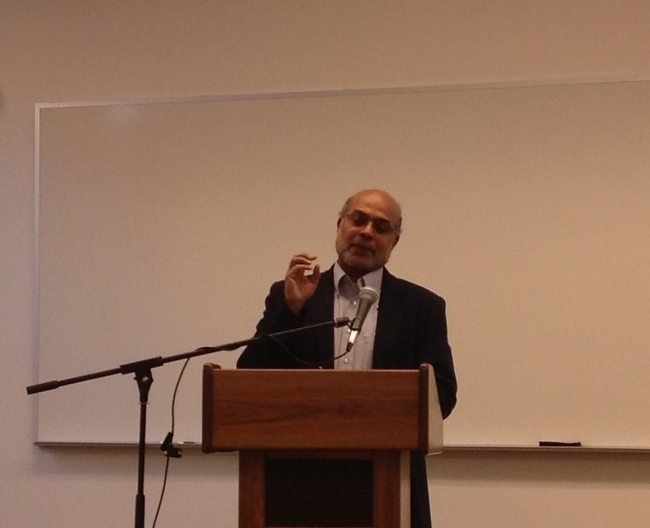 Yes, according to Prabhu Pingali, who was invited to UC Riverside last week by the One Health Center to give a talk. 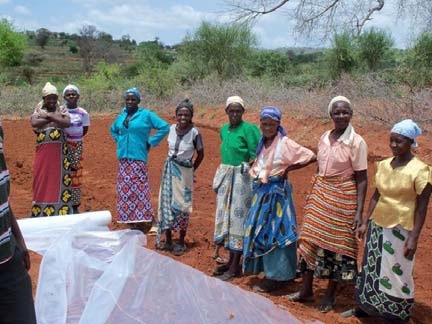 Pingali, the deputy director of the Agriculture Development Division of the Bill & Melinda Gates Foundation, has more than three decades of experience in the field of agriculture. His hour-long talk focused on how nine billion people on the planet can be fed. He explained that agriculture was on no one’s agenda from 1988 to about 2006-2007. But today it is back. “I am in the right profession,” he said, smiling. He said the world experienced a sharp increase in food prices in 2008 due to a “perfect storm” — a rapid demand for food quantity and quality (in terms of diversity) and a high volatility in food prices — and a large group of people adopted a pessimistic view of the world’s food production thereafter. The world will not be able to feed itself, they warn. The audience sat up straight, ears pricked up, eyes trained firmly on Pingali’s slides. He explained that in 1963 the world experienced a massive food deficit but that by 1970 the overall food outputs matched population growth rates, with Southeast and East Asia showing the fastest rise in productivity. Pingali’s slides showed how on the demand side in Asia and Latin America the per capita consumption of staple grain is declining rapidly. As incomes increase, he said, the per capita consumption of wheat and corn decreases and diets get diversified, with people seeking higher quality food. He predicted more consumption of meat, milk and dairy products in the future. In East Asia, meat consumption will be about 80 kg per person per year in 2050 (in 1975, it was less than 20 kg per person per year; in 2000 it was about 40 kg per person per year). Further, in the future much biofuel will be from cellulosic technology and other forms of waste, not grain. But what about land area? Will there be any left to produce food for two billion more people? Pingali thinks so. He said overall 4.2 billion hectares of land on the planet are suitable to cultivation; of this area, only about 1.7 billion hectares are already under cultivation. Pingali predicts water scarcity will be a growing constraint. He explained that currently enormous wastage of water occurs in many parts of the world, but that water use can be better managed. According to him, we can expect that the following steps will be needed to manage future food production: changing cropping patterns; improved tolerance to drought and submergence; increased use of hybrids; and better land and water management practices. Pingali thinks we should keep the focus on agriculture and invest in smallholder productivity growth. At the end of his talk, several hands went up and a vibrant Q&A ensued. Unfortunately, I never got to ask my question, time being up: “Dr. Pingali, how would your talk today change for feeding a world population of 15 billion? Not by much, I suspect he’d have said with confidence and no hesitation, his unstoppable optimism swelling further in the room.